We hope you like it! Please give us suggestions so we can improve your experience. 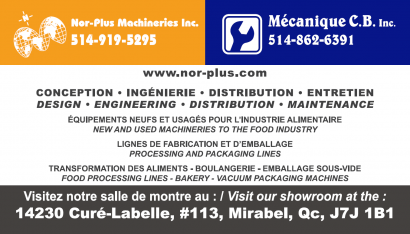 NOR-PLUS MACHINERIES INC. has been founded in 1998 and is located at Ascot Corner, in the Eastern Townships, (Quebec). The particularity of this enterprise is to work and within a NETWORK of self governing people based on a good business RELATIONSHIP. 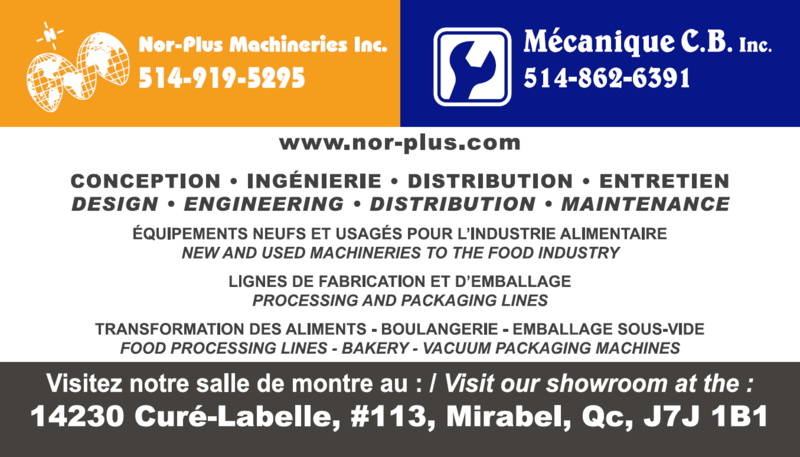 To supply PROCESSING and PACKAGING machinery to the FOOD industry with complete and custom-made technical services. The enterprise has a MULTI-DISCIPLINARY team of SELF-GOVERNING people able to reply quickly and adequately to customers needs. Fill out the form below to sign up to our monthly product update. © Copyright 2019 Nor-Plus Machineries.